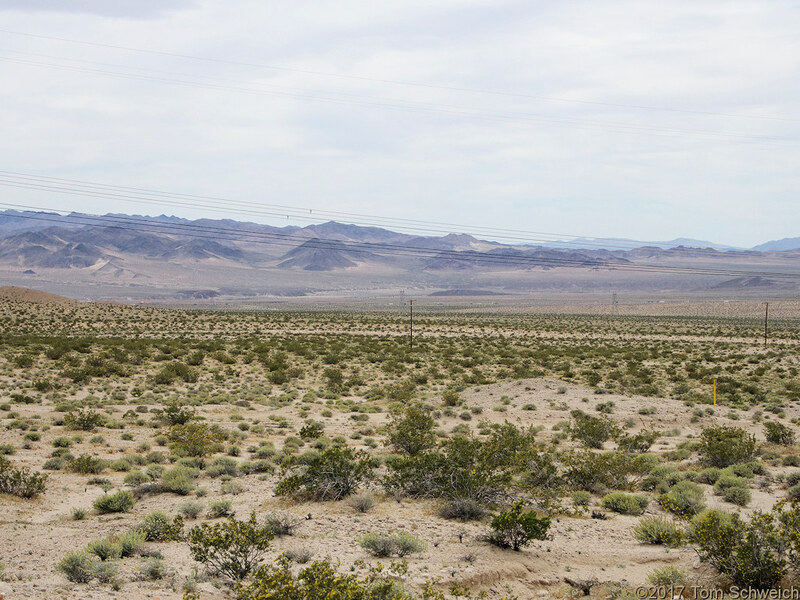 Photo: Looking southeast across Mojave Valley to the Cady Mountains. Eastern Mojave Vegetation Looking southeast across Mojave Valley to the Cady Mountains. Power Line Road #2 (Middle), San Bernardino County, California: at Stop 2017-2-7. Field Notes: at Stop 2017-2-7. Other photos about Geography - Eastern Mojave or Mojave Valley.